New Year means it’s time to get in to shape! 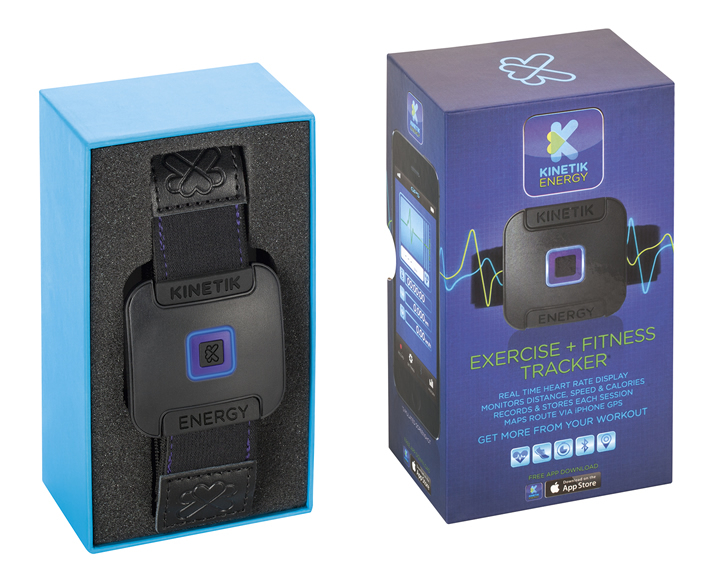 Sharpen your fitness, lose a bit of weight & tone up with Kinetik’s Exercise & Fitness Tracker. You can easily track your progress and tangibly improve your performance, whether you’re running, walking, playing sport or working out in the gym. This handy product combines a discreet band fitted to the bicep, with a custom-built smartphone app, which work together to provide the most accurate reading of movement and heart rate. 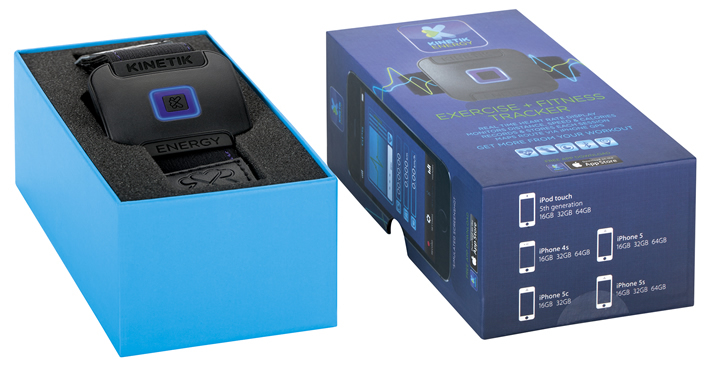 Super easy to use, the Kinetik EFT constantly monitors your heart rate, meaning you can understand when your body is working at the most effective level. It also records distance travelled, as well as mapping this information, and even provides an alert should you fall below or above your optimum fat burning zone. These combined features ensure you can adjust the intensity of your exercise to achieve your fitness & weight loss goals. 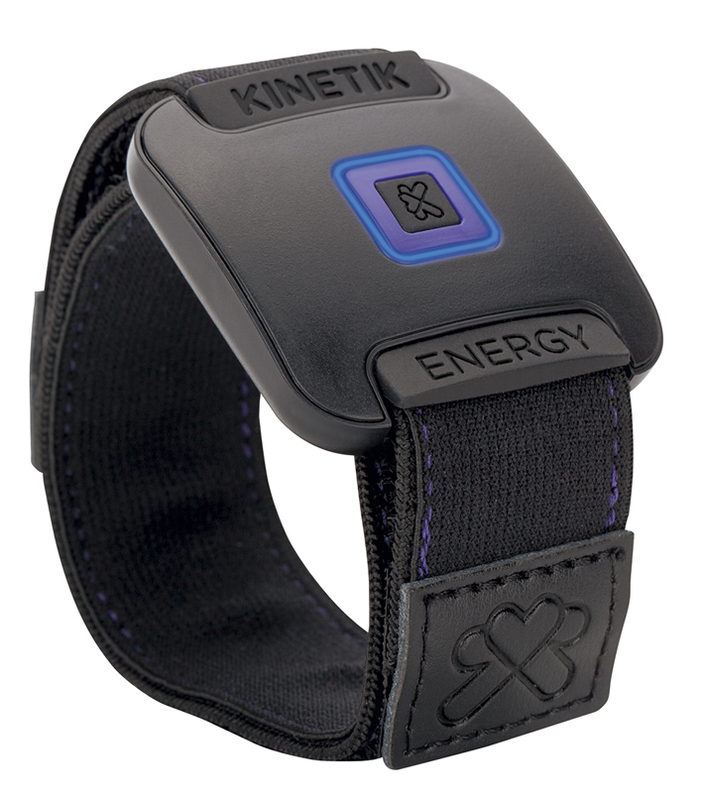 The Kinetik Energy Exercise & Fitness Tracker is priced at £69.99 and is available to buy from Argos, Tesco & Amazon. Kinetik have very kindly offered to give away one of these trackers to one lucky reader of DB Reviews. All you need to do, to be in with a chance of winning is enter via the Gleam widget below. Please complete the mandatory entry and then as many optional entries as you like. The more entries you complete, more your chances of winning. All the best! to cycle to work four days a week, managed it so far despite the bad weather! I'm disabled & in constant pain. When I have a good day I'm going to do some core building exercises. And try to walk up stairs instead of using the stairlift. To maintain my weight loss plan. Yes, mine is to eat better and lose weight. I'd like to do my first sponsored 5k! My general fitness is dreadful, so any improvement I would be grateful for! Yes to get fit! I am really unfit! I would love to run another half marathon, I last did one on 2013 and would like to get my fitness up so that I could run another! to start back swimming, ive not yet not back into the routine I had before xmas. Yes, I want to lose weight and get fitter this year. To exceed my 10,000 steps a day! I just had twin babies and I cant weight to loose weight! Just to be fit, healthy and happy! 10k steps a day - myself and some other mums on the school run have committed to this but they all have fancy watches, and I just have some dodgy pedometer I got free from a cereal packets in the 90s LOL. I am waiting for spinal surgery so at the moment it is to religiously do my physio exercises every day and afterwards to work hard to try to walk again without help and falling. To lose at least two stine and become healthier. I would like to eat healthier! This is amazing, but unfortunately for me I'm trying to put on weight in the new year! To be able to exercise again, hopefully physio on my knee will be finished in the summer so I can start using my exercise bike, then who knows! Maintain mobility and try to keep active. Pesky MS rather spoils things. Lose weight and get fit so i can do more with the kids . I'd love to go past 10k. It's going to take some work but I'm trying. I want to run a 10k this year - can only do 5 at the moment! My fitness goal is to lose some weight, eat better and drink more water! My fitness goals are to walk everyday and to lose approx one and a half stone. I have lost 5 pounds so far and loving my daily walks. So far so good. I want to carry on losing 2lb a week at a steady pace and still enjoy myself while doing it .All i'm doing is walking more ,stopped snacking on sweets and drinking more water . my goals are simply to remain fit and healthy! Run 5k comfortably, I recently had a baby and have just started running. I am trying to get fit for when the sea warms up enough to go bodyboarding again. Once we start my fitness improves but this year I would like to start fitter than last year. Doing the Great North Swim in Lake Windermere in June so it's all about swimming until then! To lose weight and get fitter. I need to have my gallbladder and stones removed but need to lose a bit of weight first. I need to mobilise for health reasons but feel quite overwhelmed by it all. I think one of these would help motivate me. To finally run 5 km! im 62 and doing my first 10k at the end of may in Edinburgh. To lose 2 stone this year - I'm down 4lb already! I would want to loose weight & be able to do a good run without stopping! To progress further in Yoga, run a couple of times a week and walk more. Have started working out 3/4 a week so my end goal is to lose weight.